Over the years I have frequently dreamt of visiting the Kingdom of Bhutan and checking out it’s pristine forests and exquisite wildlife but felt that the cost was ‘prohibitive’, as there is a standard-fee of US$250/pp/day set by the government. Recently whilst scanning Facebook I saw a 14-day budget-birding trip offered for under $3,000 and decided to investigate-further. I contacted the company’s chief birder Norbu and it appears that June is an ‘Off-Peak’ period and the fee is reduced to US$200/pp/day, if 3 or more birders can be found for the tour……after a few emails I ‘signed-up’ and received a very exciting itinerary and started dreaming of Beautiful Nuthatches and Ward’s Trogons…..
Whilst perusing the weather-forecast for Thimphu (Bhutan’s capital city) and looking through some old trip-reports I realised why June was a ‘budget-period’…..of course, this is the beginning of the sub-continent’s annual monsoon! Oh well, you only live once…. to the south-east of the city. At the Bang Phra non-hunting Reserve we ‘dodged’ a couple of showers but still managed some great birds, including two owls, Brown Boobook and Asian Barred, Spot-billed Pelican, Green-billed Malkoha, Osprey and 7 Lesser Adjutants. 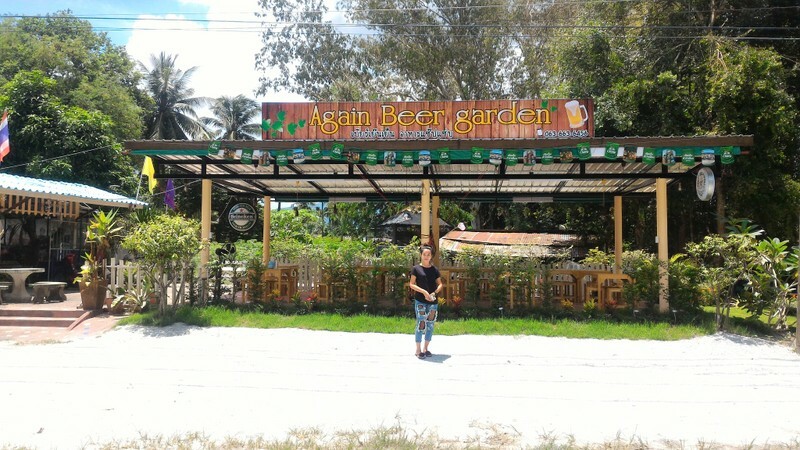 We stopped for lunch at a roadside pub called the “Again Beer Garden” and the charming proprietor asked if she could have a photo-shoot for it’s opening that weekend. The best was yet to come though, we went to a temple fairly close to Pattaya and was placed on a stool in front of a water-hole and a portable-blind was placed over me, after waiting for nearly an hour my guide decided the bird wasn’t going to turn-up and took the hide off…..suddenly a flash of colour flew over my shoulder and I was face-to-face with an adult Blue-winged Pitta, although being ‘skyped‘ from a relative in another-country on my mobile didn’t help my concentration! Fortunately the bird (…or another?) returned three times and I managed to get some reasonable shots and footage along with a gorgeous Asian Emerald Dove. What an end to an excellent day! I spent the Sunday around the hotel where I’d hoped to wander around the nearby ‘Paddyfields’ but the weather was rather wet and so didn’t see too much of interest, so I prepared myself for my early-start on Monday.